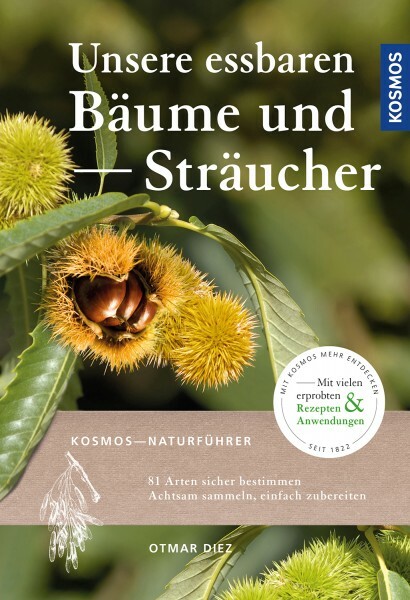 Product information "Unsere essbaren Bäume und Sträucher"
Many wild trees and bushes whose leaves and fruits are splendidly suited to eating grow in the forest and near settlements. This field guide helps you to find and identify the wild delicacies. Domestic and cultivated plants are extensively presented with all important characteristics, photos and drawings. A separate chapter on poisonous and barely edible species helps to identify dangerous lookalikes. The recipe section offers tasty suggestions for healthy salads, soups and deserts from the cuisine of wild plants.